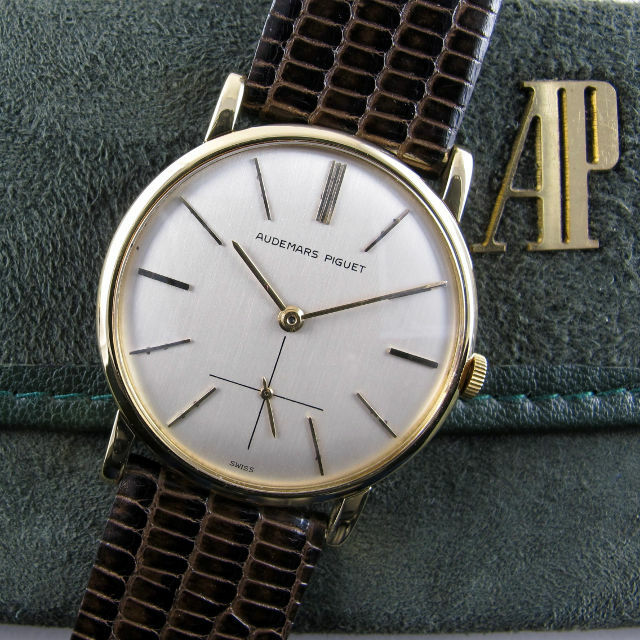 This week’s newsletter opens with a superb Audemars Piguet dress watch. Made in 1954 this is a Ref. BA 5014 which has an elegant and slim, 18ct yellow gold case with down-turned lugs. The dial is a classic Audemars Piguet design with elongated, applied, gold hour indexes, matching gold hands and a cross-hair subsidiary seconds dial. Manually wound, the watch is powered by the beautifully finished Audemars Piguet calibre 2001, with finely damascened bridges. Accompanying the watch is numbered documentation from Audemars Piguet dating to when the watch was sent for servicing in 1982 as well as a green suede AP watch pouch and card outer box. 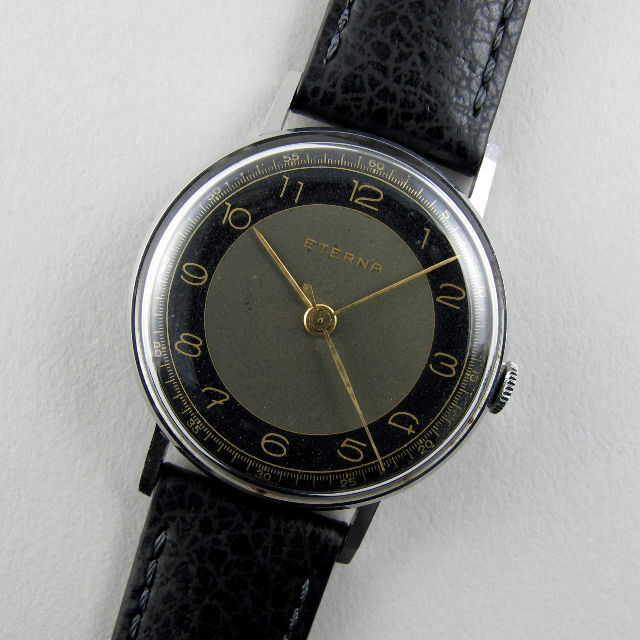 Next is a fabulous looking vintage Eterna wristwatch which dates to c. 1941. This mid-sized model has a wonderful two-tone dial with grey centre and black rim. All tracks, signatures and hands have a gilded finish. The steel case has slim faceted lugs and a chamfered bezel. Manually wound, the watch is powered by the Eterna calibre 1020S. 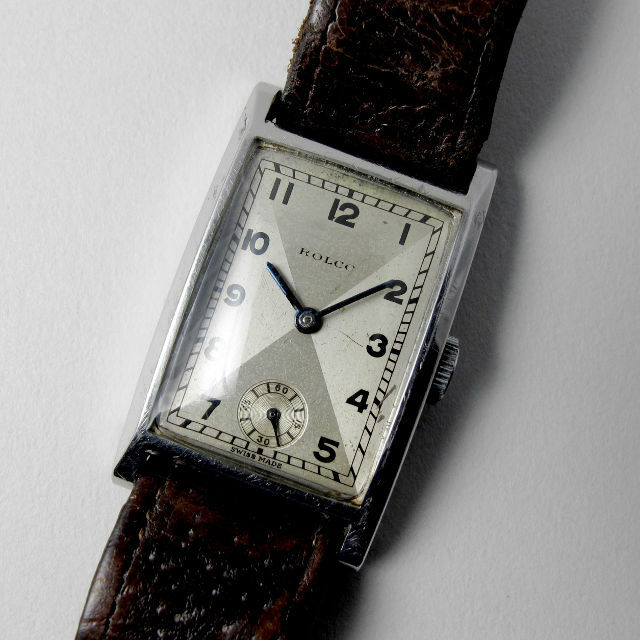 The wristwatch shown above is branded Rolco which is a truncation of ‘Rolex Company.’ The Rolco brand name was registered by Rolex on 15th September 1927 and a range of models were manufactured under the Rolco name well into the 1930s. With classic Art Deco styling, this watch, a Ref. 476, dates to c. 1935 and has a curved rectangular case to fit the natural shape of the wrist and a lovely silvered dial that has a sectored, two-tone finish. Interestingly, the case back of this watch is marked ‘Acier Inrouillable’ to indicate that the case was made from a form of stainless steel. The ‘Inrouillable’ is an unusual term and seems to have been used for only a few years during the early 1930s – the term ‘Acier Inoxydable’ being much more commonly seen. 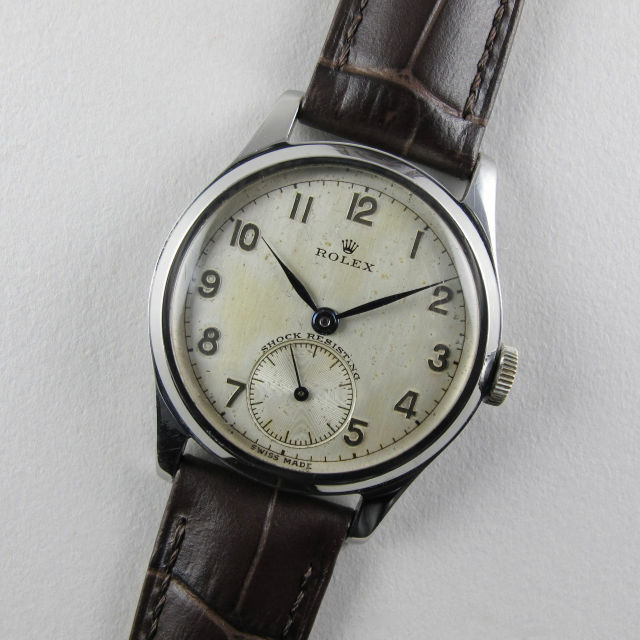 This handsome mid-sized Rolex wristwatch is made in stainless steel and dates to c.1947. The silvered dial has light oxidation to the surface giving the watch a great vintage look. The blued steel ‘feuille’ hands provide a clear contrast between the gold coloured tone of the Arabic numerals and the surface of the dial itself. Manually wound, the watch is powered by the Rolex calibre 700 with patented Rolex Superbalance. 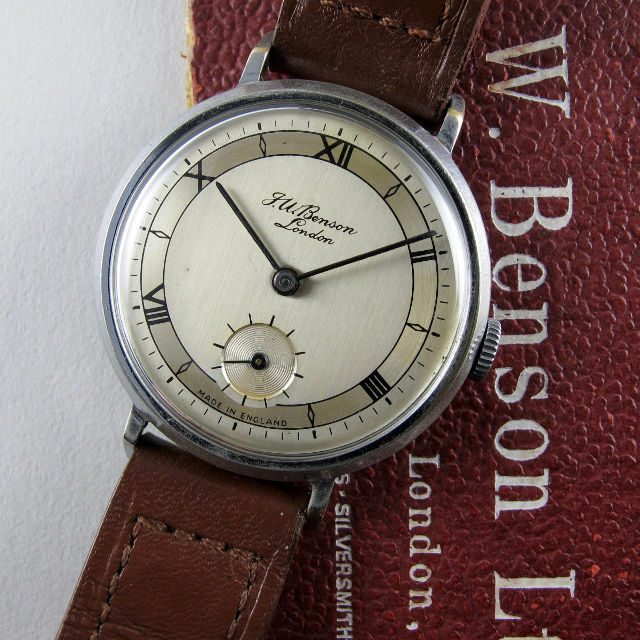 Up next is a steel and chrome wristwatch made by Smiths for J. W. Benson of London. 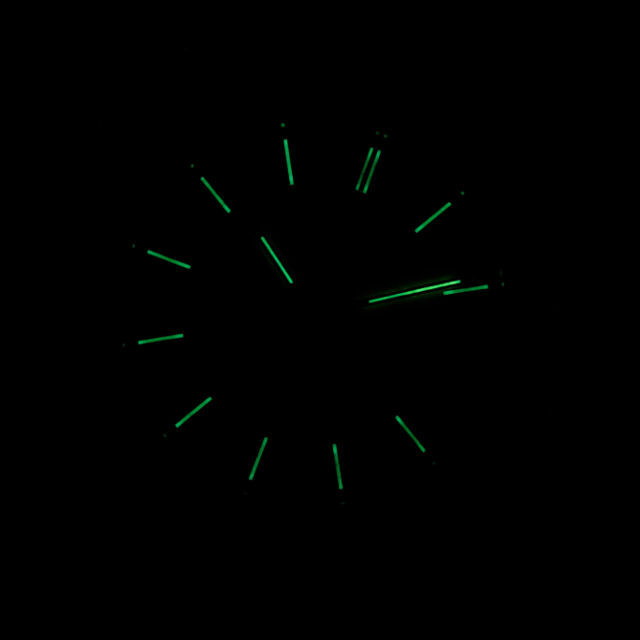 The watch has a calibre 400 movement which was made in England at Smiths’ factory in Cheltenham. The watch has a very handsome two-tone dial and is accompanied by its box and certificate (the lid of the card box has separated from its base). With vintage watches it’s always tempting to imagine what they’ve seen and where they’ve been during their lifetimes. On removing the base of the box that came with this Benson watch, I discovered the rather sweet poem shown above which presumably must have been given, along with watch, as a present. 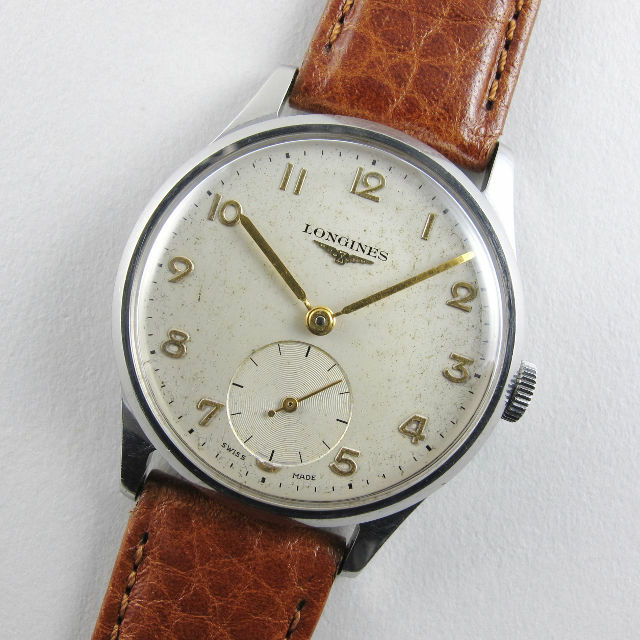 A classic and smart vintage wristwatch design, the Longines model shown above dates to c. 1954 and has a silvered dial with raised gilded Arabic numerals and hands and a finely engine-turned subsidiary seconds. 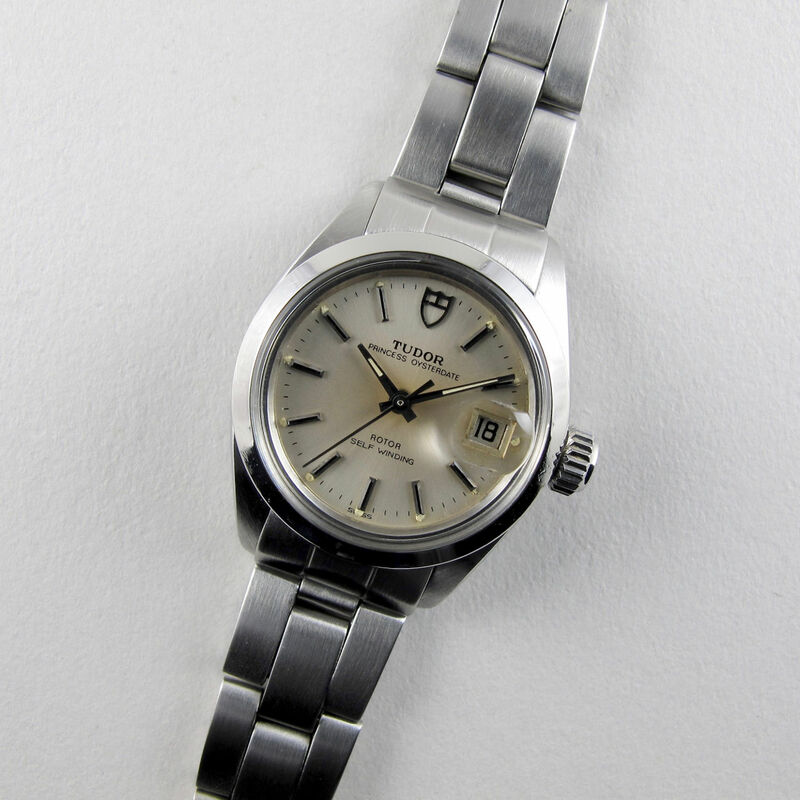 The steel case was made for Longines by the Dennison case company and is their model 13322, a design that the latter also supplied to Omega for their references 720 (steel) and 920 (gold). The watch is powered by Longines’ excellent calibre 12.68Z manually wound movement. 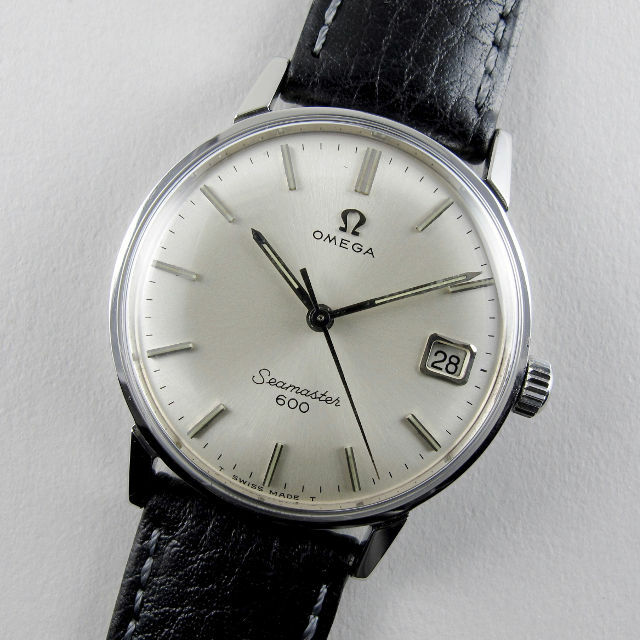 This Omega Seamaster 600 model is a Ref. 136.011 which dates to c. 1966. Unusually, the applied indexes are centrally set with luminescent panels, lending them a subtle accenting that is mirrored by the matching luminescent baton hands. The photograph above shows the luminescence photographed at night (this is exaggerated as the photograph was taken immediately after switching from bright artificial light to darkness). Cased in stainless steel, the manually wound movement is the 17 jewel, Omega calibre 611 which has provision for semi-quick date change. Rounding off this week’s newsletter is a lady’s Tudor Princess Oysterdate which dates to 1984. This watch has a silvered, satin finished dial with faceted hour indexes which are centrally set with black panels to increase visibility. The stainless steel Rolex Oyster case has a classic polished finish with chamfered bezel and screw-down case back and it is fitted with the original riveted link Tudor Oyster bracelet. Automatically wound via the Tudor finished ETA 2671, the movement has provision for quick date adjustment via a secondary setting to the crown and there is also a hack feature – when the crown is unscrewed and pulled out to set the time, the second hand will stop, thereby allowing accurate synchronisation to a time signal. As part of this watch’s service and overhaul, it has been pressure tested for water resistance for depths up to 100 metres.